The month that we are born, says a lot about us. By the birth month of the people we can easily determine about their personality and characteristics that what kind of people they are. Along with that birth, months reveals a lot’s of secrets of peoples also. If you are December born then today’s blog is only for you. So have a look and see what’s secrets this blog reveals about you……..
1. December born people are practical, reality loving and down to earth. They know that life can’t run on Dreams. 2. 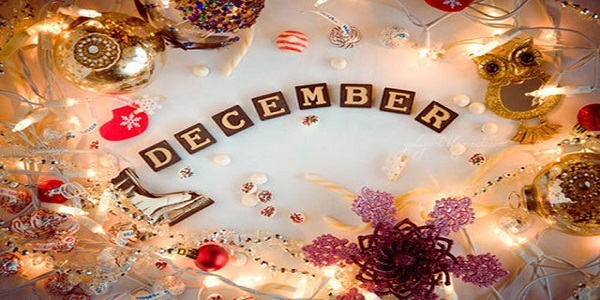 December born is very generous people and they are very nice by heart. 3. They are very straight-up means they are Loyal to their relations and friendships. 4. Have Very simple life style that’s why they are easy to talk to persons. 6. Polite, soft-spoken, active mind, hesitating these are also the part of their nature. 7. They are very shy kind of people but love to help others and love to extend their hands towards the people’s difficult time. 8. They are very lucky and it has been seen that people born on the month of December are favored by the strong luck and fortune. 10. They are very honest people you are ever seen in your life. They always like to deal with the truth and never take the support of liars. 11. The people who born in December always loves to share their knowledge and wisdom with the people. They never step back if they have a possibility to guide someone or help someone. 12. If we can elaborate them in one line then they are loyal and generous, patriotic, active in games, ambitious, fun to be with, love to socialize, loves praise, honest and trustworthy, short tempered, hates restrictions, loves to joke, good sense of humor and logical.